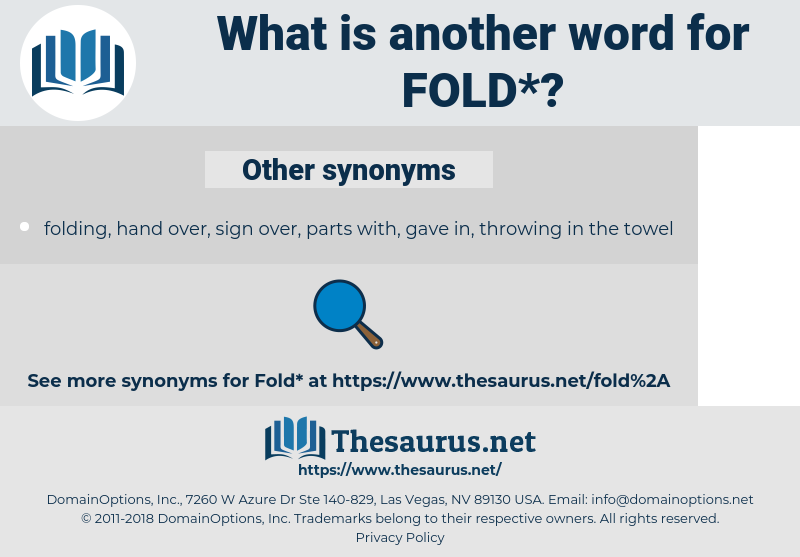 What is another word for fold? an enclosure for flocks to rest together ( Isaiah 13:20 ). 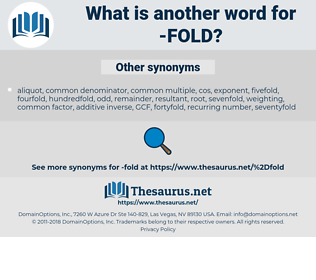 Sheep-folds are mentioned Numbers 32:16 Numbers 32:24 Numbers 32:36 ; 2 Sam 7:8 ; Zephaniah 2:6 ; John 10:1 , etc. It was prophesied of the cities of Ammon ( Ezekiel 25:5 ), Aroer ( Isaiah 17:2 ), and Judaea, that they would be folds or couching-places for flocks. " Among the pots," of the Authorized Version ( Psalms 68:13 ), is rightly in the Revised Version, " among the sheepfolds." dropt like a hot potato. lied down and roll over. dimensions, fortunes, installments, thrusts, components, showings, clusters, levers, performances, repetitions, headings, instalments, strands, fronts, pillars, vouchers, segments, sections, portions, faiths, Blinds, shutters, priors, aspects, FACETS, instances, tiers, Branches, knees, jumps, punches, posts, Shots, breaths, squirts, rounds, yawns, streams, vents, Tracks, Phases, trips, hits, nights, times. flock, crease, bend, herd, envelope. divide, unbend, loose, smooth, separate, succeed, open, straighten, leave, free, achieve, loosen, let out, flatten. By the natural organization of Industry the productive labors of mankind will be dignified and rendered attractive; wealth will be increased ten - fold, so that abundance will be secured to all, and with abundance, the means of education and refinement, and of social equality and unity. Patricia slept within the fold of his arm. cross, crimp, furrow, crisp, plicate, tuck, corrugate, scrunch up, pleat, scrunch, ruffle, wrinkle, pinch, ruckle, crinkle, collapse, crease.